This 13″ by 10″ sign is blue, white, and red. The sign has mounting holes in each corner. 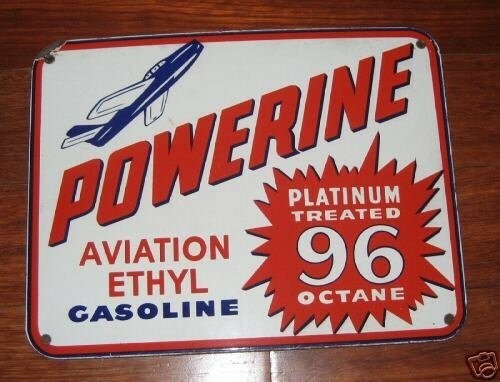 The text on this sign reads “Powerine Aviation Ethyl Gasoline, Platinum Treated 96 Octane.” There is also a blue plane in the left hand corner.